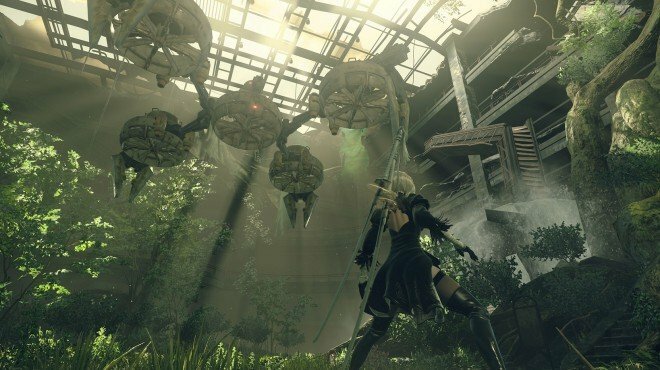 Machine Request is a Main Story Quest in NieR: Automata. "Pascal's Village Machines want to demonstrate they are peaceful, so they ask that you deliver this fuel filter to the Resistance Camp." Deliver the Fuel Filter to Anemone. Talk to Pascal at the Machine Village and he will hand you over Fuel Filter. He will want you to take it to the Resistance Camp to give to Anemone as proof of peace. A conversation from Operator 60 will trigger when you re-enter the City Ruins area. When you give the item to Anemone, she will admit to consorting with machines but say it is commerce because they are peaceful and helpful. She charges you with delivering Viscous Oil to Pascal.